This piece of work is Khalil Ibrahim’s observation to the hard working lives of ordinary people in an East Coast village. 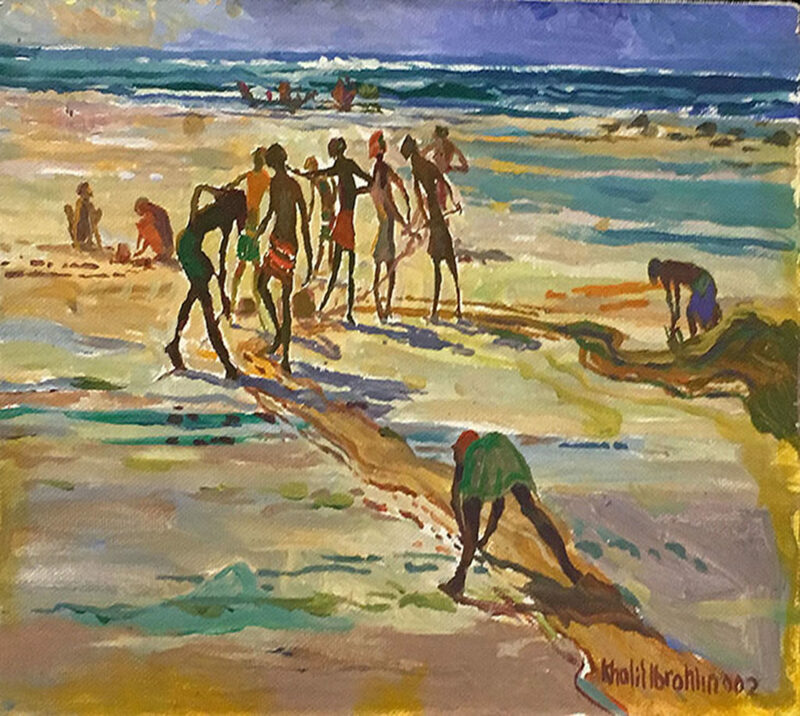 The artist’s enigmatic and stylised beach using watercolour is an illustration of his strong connection and love for the land of his origin. Khalil Ibrahim graduated from the prestigious St. Martin’s School of Art & Design, United Kingdom in 1964. Thereafter, he became a full-time artist and has been so for fifty years now. He has held solo and group exhibitions in Malaysia, Singapore, Indonesia and Switzerland, with most of his works centre around figures and are heavily influenced by East Coast fishermen and women.